Firefighter Mullins loved his career. He never got tired of the adrenaline rush that came on at the sound of the alarm bell. He always found it hard to unwind after a life-threatening call, so he and the other firefighters almost always had a few drinks before they went home. Firefighter Mullins didn’t think he had an addiction to alcohol, although, he was always the first one to arrive at the bar and the last one to leave. He might even have another drink when he got home—just to help him get to sleep. His wife had cautioned him that he need help for his alcoholism, but Firefighter Mullins didn’t see any harm in a few drinks after work, and he didn’t think he had a problem. One night, after a trying day, Firefighter Mullins lost control of his car and hit a tree. He lay there unconscious when his fellow firefighters arrived on the scene. The next day, Firefighter Mullins awoke in a hospital bed. As he tried to put the puzzle pieces together of what had happened the previous night, panic set in as he realized he was well over the legal limit for driving under the influence. This could be the end of his 20-year career. Lying there alone and afraid, he worried about how his life would unfold in the coming days. The story about Firefighter Mullins is a fiction, but it does demonstrate the real-life struggles that firefighters have with alcohol and other types of substance abuse. Imagine that you could write a happier ending for the story of Firefighter Mullins. 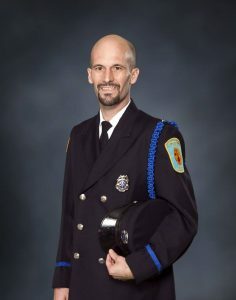 Imagine that he awoke the next morning to find a group of his peers surrounding his bedside, assuring him that everything was going to be ok. As Firefighter Mullins expressed his fear over the previous nights’ event, he broke down. 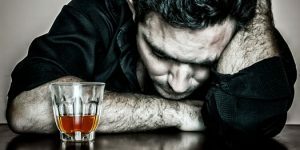 His peers were able to help him understand that alcoholism was a disease and that he needed treatment. They told him about Frontline Responder Services, a substance abuse program at Advanced Health & Education and Cedar Point Recovery that was designed to meet the unique needs of firefighters and other first responders. They explained that all the counselors were active or retired first responders and they would understand what led him to his problems with alcoholism. More importantly, they’d help him recover from alcoholism, and if he completed the program successfully, he could return to his job. They promised to support him every step of the way. The aviation industry recognizes that alcoholism is prevalent among pilots because of long times waiting in airports and staying in hotels. In an effort to enhance airline safety, the aviation industry performed research to evaluate the issue of airplane pilots and substance abuse. 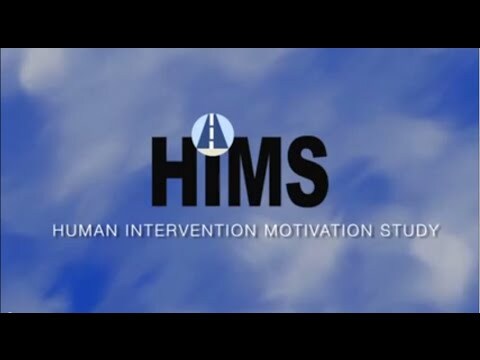 The Air Line Pilots Association joined forces with a labor union and did a medical research project called HIMS (Human Intervention Motivation Study) in the 1970’s. The National Institute for Alcohol Abuse and Alcoholism (NIAAA) funded the study. The goal of the project was to test a program for addressing alcoholism in pilots. The program included a peer component because they believed that fellow pilots were the best people to observe the pilot’s ability to function well in the cockpit. The premise of the program was to intervene and help the pilot understand that substance abuse is a disease like cancer or any other. Substance abuse affects the mid-brain which is the part of the brain that responds to primitive needs like food, shelter, warmth, etc. The intervention phase helps the pilot understand that the disease won’t get better without treatment. The HIMS program involves the FAA, peer pilots, and healthcare professionals who work together to help pilots recover and return to their careers safely. It was a success. The HIMS program has allowed 4,500 professional pilots to return to the cockpit since its inception in 1974. The aviation industry also evaluated the cost of the program. They learned that the cost of the HIMS program was minute compared to the cost of replacing an experienced, senior pilot. 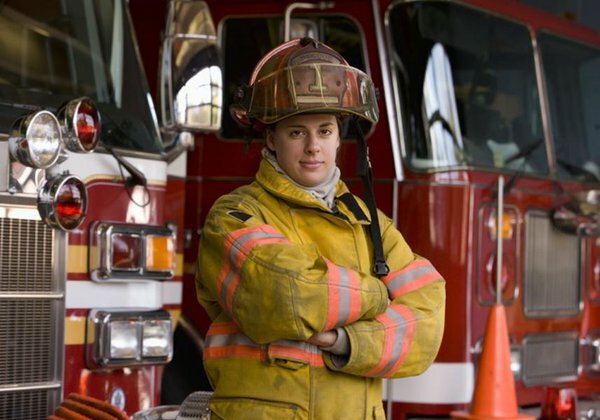 Could the HIMS Model Work for the Fire Service Industry? 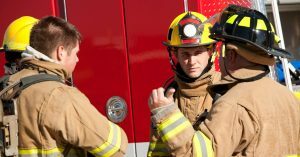 Studies have shown that fire service is another field that has a high rate of job-related alcoholism and substance abuse. How prevalent is it? One study showed that 85% of career firefighters and 71% of volunteer firefighters reported drinking alcohol within the last 30 days. A 2013 National Survey on Drug Use and Health showed that only 62% of males reported that they’d consumed alcohol within the past month. These studies showed that firefighters use alcohol to help them deal with job-related stress and traumatic calls, as well as serve as a conduit for social bonding and camaraderie. Fortunately, there are programs, like Frontline Responder Services, available to help firefighters dealing with substance abuse. What’s currently missing is an internal program that helps to alleviate the stigma associated with substance abuse and helps them get back on the job safely. There are many potential benefits to using a program like HIMS for firefighters. It would alleviate the stigma surrounding job-induced substance abuse which would reduce firefighter’s fear in seeking and receiving treatment. This could also help to identify alcoholism and substance abuse in firefighters as early as possible. Getting treatment would save their careers and possibly save their marriages and families. There is a unique difference between pilots and firefighters that actually holds the potential to make a program like HIMS work even better for firefighters. Pilots can work for the same airline for many years and never run into the same people twice because they are always traveling from city to city. Firefighters develop a sort of kinship with each other because they spend so much time in the firehouse together and because their lives often depend upon each other. It’s this kind of internal support that might make a program like HIMS even more successful for firefighters than for pilots. Firefighter Mullins responded positively to his peers and entered a substance abuse program called Frontline Responder Services at Advanced Health & Education and Cedar Point Recovery.. After completing the program, Firefighter Mullins entered a new program called HIMS, which supported Firefighter Mullins’ continuing care and sobriety and worked with the Fire Captain to help him keep his job. Most of the rest of the firefighters stopped their habit of going to the bar after stressful calls to support Firefighter Mullins’ continued sobriety. Instead, they worked out and exercised at the firehouse or spent time doing reading or mediation to unwind. Firefighter Mullins enjoyed better health and improved his relationship with his wife and children. He enjoyed a long and successful career as a firefighter until he retired. Firefighter Mullins decided to give back and became a peer supporter for the HIMS program to help other firefighters through their substance abuse recovery. With the success of the HIMS program for pilots, it’s possible that a similar program may have even higher success with firefighters. The success of the HIMS program in the aviation industry demonstrates that there are enough benefits and little or no risk to warrant establishing a similar program for firefighters. The evaluation of a pilot HIMS program for firefighters may yield results that warrant a larger-scale program. Mark Lamplugh is a fourth-generation firefighter and former captain with the Lower Chichester (PA) Fire Company. He was the Chief Executive Officer with 360 Wellness Inc. (www.360wellness.org) and currently the Vice President of Responder Services (www.frontlinerehab.com) with Advanced Health & Education (wwwadvhealth.com) and Cedar Point Recovery (www.cedarpointrecovery.com). Lamplugh is also nationally recognized in Crisis Stress Intervention through the American Academy of Experts in Traumatic Stress. Lamplugh hosts his own talk show called "Firefighter Wellness Radio" (www.blogtalkradio.com/fireengineeringtalkradio) with Fire Engineering. He has helped hundreds of firefighters, police officers, veterans, EMS personnel, and civilians nationwide find help for addiction, alcoholism, PTSD, and mental health support. He can be reached for comment at mark@360wellness.org. First Responders and Addictions: Will You Lose Your Job If You Go to Treatment?